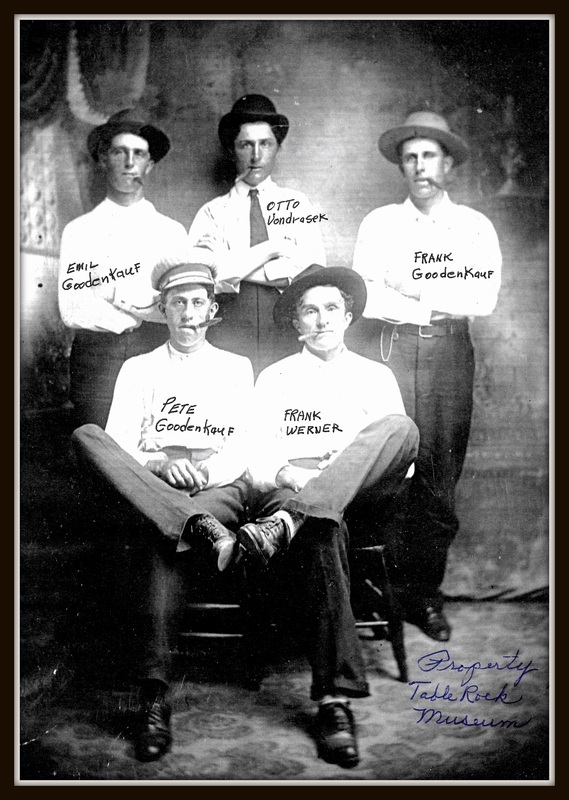 Frank Werner once walked the streets of Table Rock. Frank Werner with friends. Table Rock Historical Society Photo 43. The year: 1871. On a farm five miles north of Table Rock, a baby was born into the Werner family. They named him Frank. 59 years later, he died. He has been gone for over 84 years. He did not became famous. But he did become a friend to many people. His obituary said, “Mr. Werner will be greatly missed by Table Rock people, for all who knew him respected him, and every child while will miss his kindly interest. His obituary said, “His friends were numbered by his acquaintainces.” Would that we all could say that. The Argus reported the details of his death. On Thursday morning – no later than 8 a.m. -- Frank didn’t feel well, he saw Dr. McCrea, who worked with him for about an hour, and left feeling a bit better. However, an hour later Dr. McCrea was called to Frank’s home. His condition was “dangerous.” Dr. McCrea called on Mr. R. J. Hnizada, who lived close by, for help. Mr. Werner gave a couple of gasps and died within minutes of Hnizda’s arrival. By 11 a.m., the news was out. The next day, Friday, August 1, 1930, it was front page news in the Argus. The next day, Saturday, August 2, 1930, the funeral was held at the Methodist Church, which was “filled to capacity.” Music included a quarteete with Mrs. Hnizda, Mrs. Miller,and Ralph Cotton, with, at the piano, Mrs. Guy Bonham. After the Reverend Mille rpaid tribute to Frank, Frank Dobrovolny spoke in the Bohemian language. Frank was buried in the Czech cemetery east of town. On the next Friday, August 8, 1930, the Argus included his obituary. Does it matter that Frank Werner walked the streets of Table Rock? It certainly did to the people who knew him. If you can’t be famous, what more could we ask for? “His friends were numbered by his acquaintances.” An admirable goal for all of us. 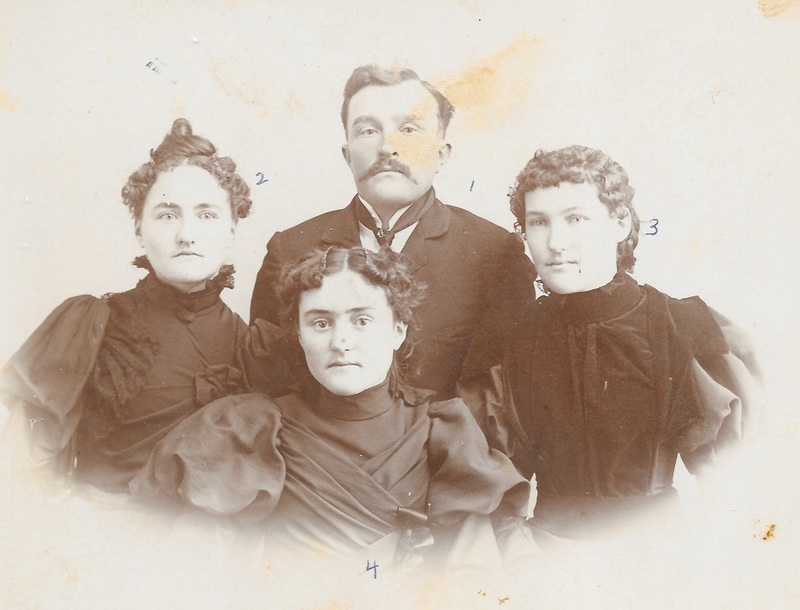 Frank Werner with three of his sisters -- Emma, Anna, and Matilda -- in Table Rock Historical Society Photo 316. 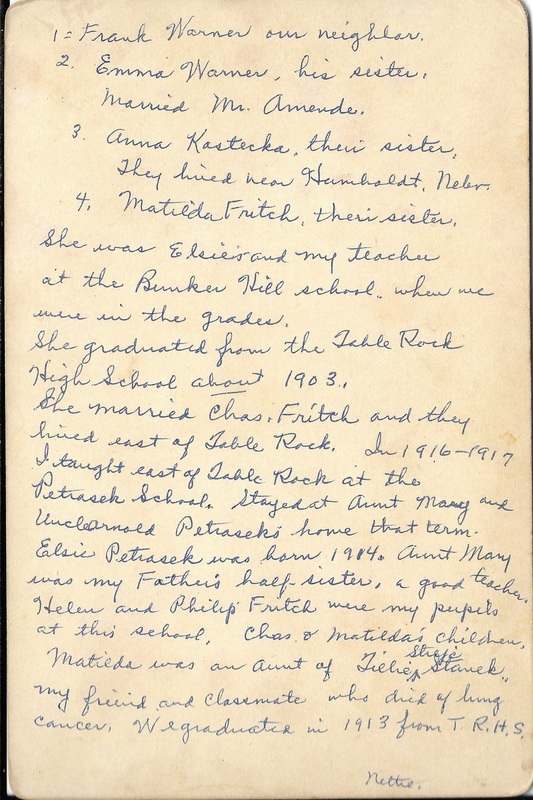 Frank's obituary reported that he left four sisters, Mrs. Mary Strejc and Mrs. Charles Fritch of Table Rock, Mrs. John Kostecka of Humboldt, and Mrs. Edward Amende of Wild Cat, Wyoming. Frank's sister Mary is not in the picture. The back of this photograph has some words, signed by a "Nettie" who had a sister Elsie and graduated in 1913. What of Frank's family besides his sisters? I don’t know who his parents were. There is a Josef Werner buried at the Czech cemetery, 1841 to 1900, which would be an appropriate age. I don’t know who his mother was. There are no other Werners buried in Table Rock that are listed in Find A Grave.com, although there are lots in Pawnee City. There were two who would have been old enough to be his parents, Henry and Regina Werner, but he is not listed as their child, and they indeed had a child named Henry the same year that Frank was born. The Argus reported that after Frank’s mother died, he lived alone. Had he married? His obituary has an oddly-punctuated comment that the minister at the funeral “paid a tribute to the deceased. family and seven children.” Yet only his sisters were identified as his survivors. So as to his family, I suppose there are many nieces and nephews, if his sisters had families. I wonder if any have heard of him? Are there family stories about him? I hope so. 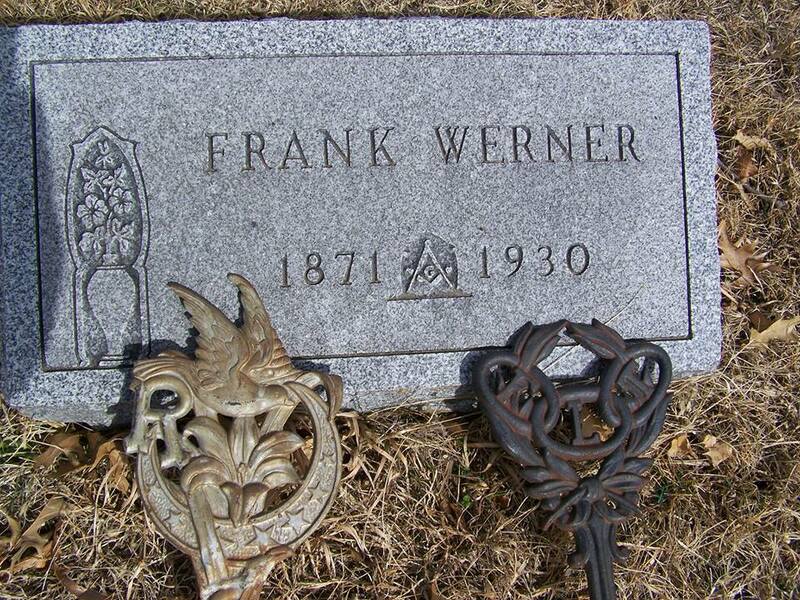 Frank Werner's tombstone at the Czech cemetery east of Table Rock. Photo from Frances Graham Blecha. In the Argus -- to the left, August 1, 1930. To the right, August 8, 1930. The back of photo 316, with comments by "Nettie."